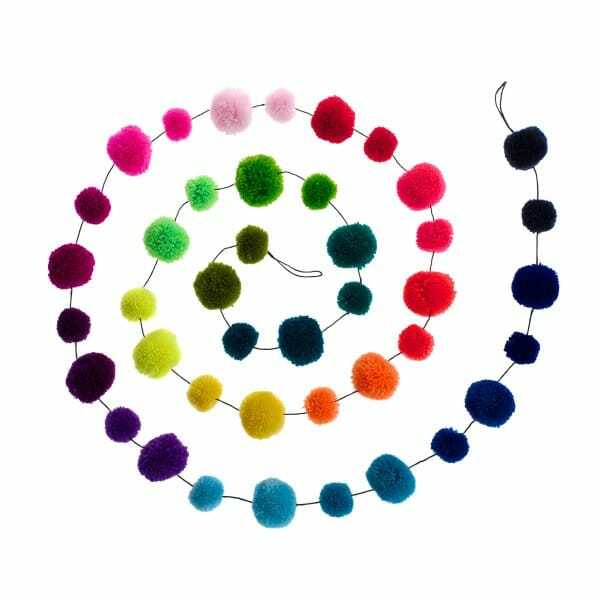 This Rainbow Pom Pom Garland by PomPom Galore makes a stylish decoration for adding fun, colour and texture to many types of interior - the home, shop, cafe, office or workplace. Super soft, fluffy and cheerful bunting, perfect for parties and special occasions or great hung up all year round, draped over shelves, furniture or mantelpieces. An excellent gift, complete with an organza gift bag.